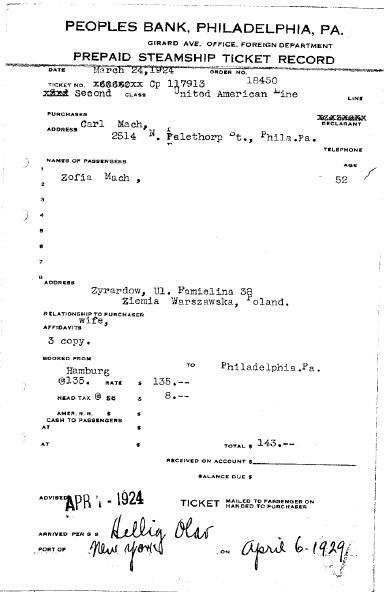 This entry was posted in Genealogical Records, Immigration, Passenger Lists, Philadelphia Records, Unusual Genealogy Resources by Donna Pointkouski. Bookmark the permalink. Thank you so much for highlighting this source. One I hadn’t thought about checking. Just as an FYI, at this time (2013) Temple will email you a copy of the requested record at no cost! Hello, I am looking how to find any information that belong to my Grandfather Folik Smetana that came to USA in 1911 Passenger’s Name: Folik Smetana and his broter Joseph Smith opened Account for him in advance.